​​Brandon Thomas workshops are hands on and you will leave with a finished painting. 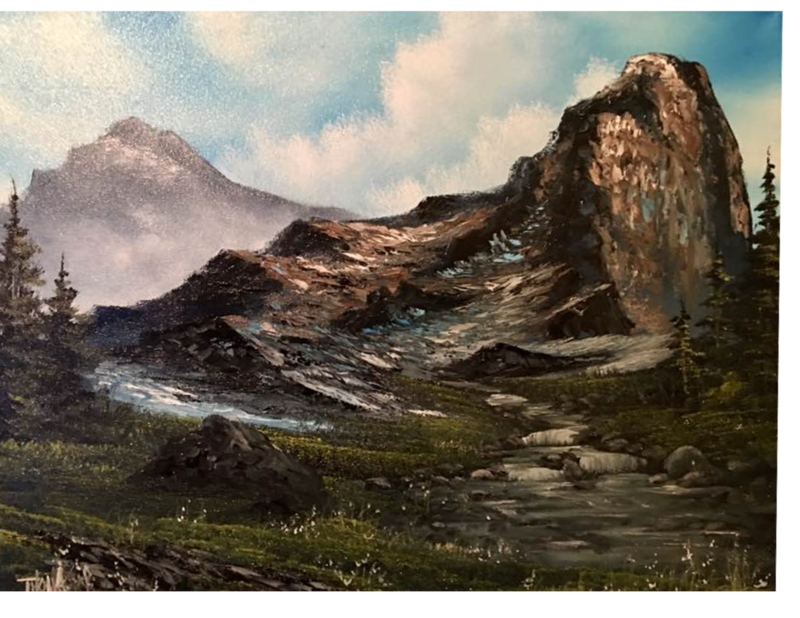 Brandon has been teaching the wet on wet oil painting technique for many years and has helped many folks become fantastic artist and has trained many folk who are now teaching their own workshops! Brandon will take you to the next level and help you reach your dream of becoming an artist. From beginner - Advanced, Brandon can help you reach your goals! Contact us today to sign up for a class. You must signup online and pay to take workshop! We do NOT take walk ins! Every workshops is scheduled to host so many students at a time and we require you to signup by filling out the form below and then we will send you an invoice to pay. You must pay the invoice within 24 hours or your reservation in the class will be canceled and someone can then take your reserved spot. We do not and will not allow walk-ins. Each class is a private event and only the reserved students will be allowed to attend the class. If you are a total beginner this class is perfect for you! I will teach you color mixing and how to layout a basic landscape. This class is 1- 2 hour(s) All supplies will be available for you to use in the class and you will leave with a finished oil painting. If you want to learn more advanced landscape techniques this class is for you! I will teach you how to lay out a barn and a detailed tree. All supplies will be available for you to use in the class and you will take home the painting. This class will be 4-6 hours. ​If you are a beginner- Intermediate artist this class is perfect for you! I will teach you color mixing and how to layout a basic landscape. This class is 2-3 hour(s) All supplies will be available for you to use in the class and you will leave with a finished oil painting. If you want to learn more advanced landscape techniques this class is for you! I will teach you how to lay out a the landscape and a detailed cherry blossom​ tree. All supplies will be available for you to use in the class and you will take home the painting. This class will be 4 - 6 hours. ​If you want to learn more advanced landscape techniques this class is for you! I will teach you how to lay out a the landscape and a detailed cherry blossom​ tree. All supplies will be available for you to use in the class and you will take home the painting. This class will be 6 - 8 hours. ​If you want to learn more advanced Seascape techniques this class is for you! I will teach you how to lay out a seascape and ad detailed foam and rocks to your painting. All supplies will be available for you to use in the class and you will take home the painting. This class will be 4-6 hours. Intermediate class! 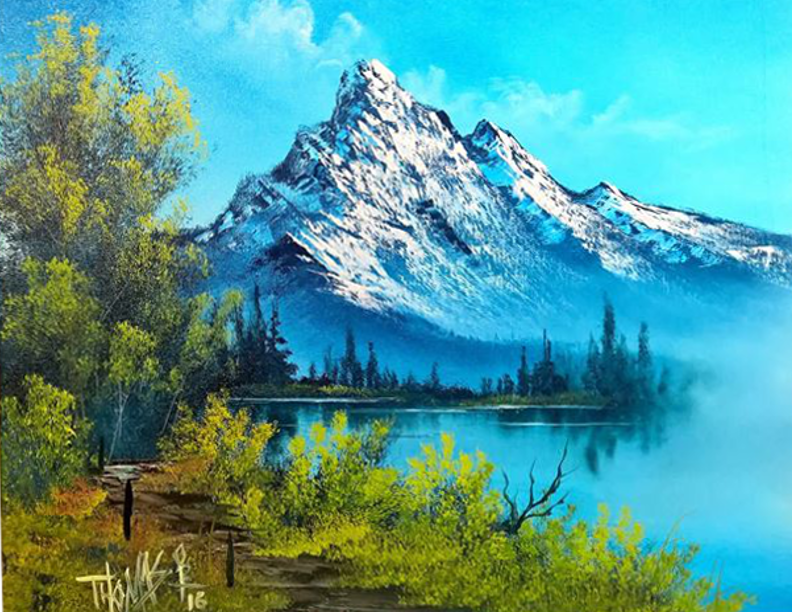 I will teach you color mixing and how to layout an advanced intermediate mountain landscape. This class is 2-4 hour(s) All supplies will be available for you to use in the class and you will leave with a finished oil painting. ​If you want to learn more advanced Mountain techniques this class is for you! I will teach you how to lay out an advanced mountain landscape and ad little falls, stones, and rocks to your painting. All supplies will be available for you to use in the class and you will take home the painting. This class will be 4-7 hours. YOU MUST PAY FOR CLASS BEFORE THE DAY OF CLASS. CLASSES CAN LAST FROM 1-2 HOURS. YOU MUST PAY FOR CLASS BEFORE THE DAY OF CLASS . CLASS CAN LAST FROM 1-2 HOURS. ​YOU MUST PAY FOR CLASS BEFORE THE DAY OF CLASS. CLASS CAN LAST FROM 4 - 5 HOURS.